3. Golden by Jessi Kirby (Hands down this has been one of the books that has made the most impact (philosophically) on me this year. I love the whole idea of it and I think it would be a great book to have read while I was in HS. 5. 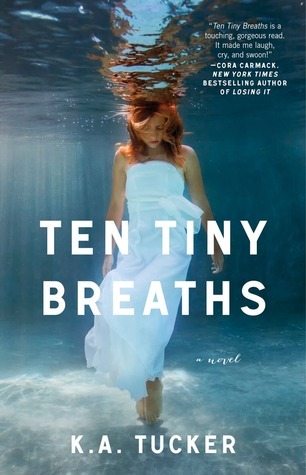 Ten Tiny Breaths by K.A. Tucker (This book ripped me apart. As in I have never had my heart ache as much as it did while reading this one. Reading about Kacey and her PTSD and then watching her learn to trust and fall in love killed me. I loved every minute of this one. YES! Those 3 you listed are some of my absolute faves!! Wow! So many good books on your list. I want to read loads of them! Especially Golden. I read Incarnate last year and it wasn't so much of a ME book because I could never relate to the characters but it's great to hear that you enjoyed it! Maybe if I read it when I was in a happier mood things would've been different? :P Heard FANTASTIC reviews for Golden, can't wait to read it!! LOL. I can see Incarnate not being for everyone. So, it just might not have been your cup of tea. But if you like contemporaries, you'll love Golden! I LOVE the masquerade scene! Incarnate is just BEAUTIFUL! And I really want/need to read Golden SOON! I have heard GREAT things! That scene made me melt. MELT. Sigh. Now I want to read it and I don't own it. Oh I hope you get to read Golden soon!!! Golden would be on my list too I think...it's one of the few books that have had such an impact on me. You have a great list over all! I really do wish I would have had Golden around when I was in HS. 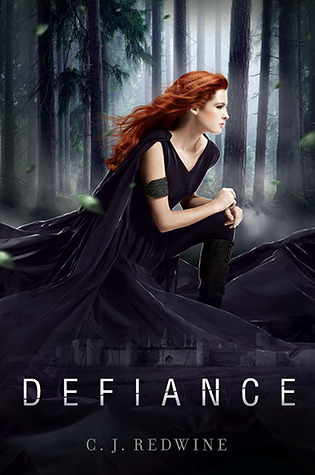 I need to read Defiance, it has sit on my shelf for too long time. Incarnate, Golden and Dare You To are on my wishlist list, need to get them ASAP =D They sounds very awesome. :D I hope you like all of those as much as I do when you get to them! Thanks Eveline! Oh yes! Read it! :D It's great! Great list! Incarnate almost made my list--it was so, so good. I can't wait for Infinite! (I need it now!) And Sam...Oh, how I love Sam. Thanks for stopping by! Thanks Rachel! Oh yes! Sam is just... SIGH. I still need to read Asunder, but hopefully I'll get a book break soon to read it. Oh I hope you love Dare You To Jessica! I really loved Ryan and Beth. Ten Tiny Breaths and Dare You To are on my list too, and I agree with you about Ten Tiny Breaths! I was broken when I finished reading, but it was so good! 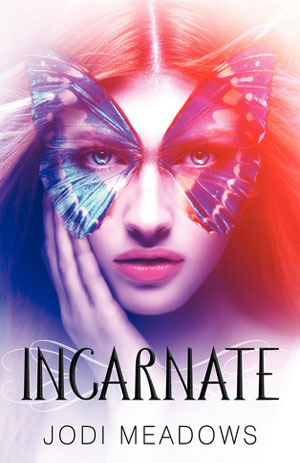 I'm adding Incarnate to my TBR - seems great. :D I am SO glad you liked TTB Lexxie! My heart hurt so much, but in a good way. I'm seeing Golden all over the place today. And, happily, I have a copy awaiting me here! Here's my Best Books I've Read So Far in 2013. And I hope you will stop by to enter my giveaway for the Literary Book Blog Hop, a $15 gift card to Book Depository! Oh yay! I hope you enjoy it when you read it! I hope you can get to them soon Ula! I'd love to hear what you think! I've not read any of these, but I really want to check out Defiance and Incarnate :)! :D Those are two really great ones!! Great List!! I'm glad you gave Jeri Smith-Ready an honorable mention. I loved her Shade Series. One of her books made my list as well. Haha! Suddenly Royal is SO cute. And he is completely yummy! LOL. I am surprised by how many books are on this list that I haven't been bullied into buying yet. What's going on?! GASP. GO GET THEM ALL. NOW! Did that work? :D I haven't bullied you, because I read them before we all really started tweeting to each other! :D Let me know when you read some of them!!! We can chat and fangirl it up together! I think you'll really like both Defiance and Incarnate! And I know you'll love Golden!! Let me know when you get to them! I absolutely adored Golden. It made my list, too. 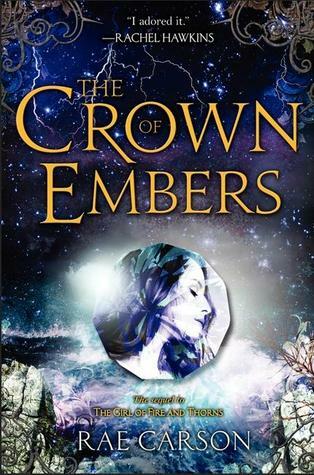 I still need to read the Girl of Fire and Thorns, but I plan to this summer. Suddenly Royal does look adorable. I need to get on that one, too. Great list! Oh I love Girl of Fire and Thorns! I love fantasy though, so it was definitely a great one for me. So glad to see DARE YOU TO on here! I really liked that one a lot and want to see it get more loooove! And, of course, Golden. Such a great piece of writing from Jessi Kirby. I'm definitely going to have to check some of these out!! 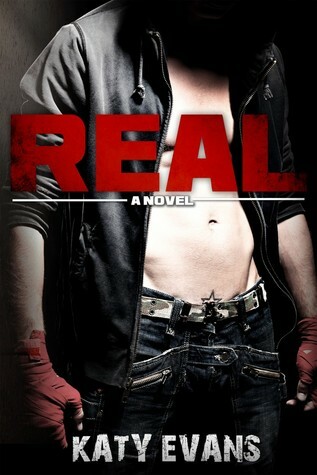 Real is my next "Fun" read can't wait ! Oooh! I can't wait to hear what you think of it Ria! I put Dare You To on my list, as well! Defiance, Incarnate, Golden and Ten Tiny Breaths are on my TBR-ASAP list. ;) Glad you loved all of them, great list! LOL. I like how you have a TBR-ASAP list! I need to make one those! I have a million books on my TBR, but I need to organize the ones I REALLY want to read first! Yay! I'm glad you're loving Dare You To also!! Dare You To, Real and Ten Tiny Breaths were AMAZING, right?? I'm so glad to hear that Redesigned was good. I loved After Math and picked both of them up at BEA, but haven't gotten to Redesigned yet. I think I'll love it too! Great list as always, Jessica! I loved Defiance!!! It was sooooo good!!! And Incarnate was really good too! I've yet to read Grave Mercy and I've a lot of good things about it! Right?!!? CJ is amazing! I've met her a few times and she is adorable!! I really liked Grave Mercy! I've heard that the second, Dark Triumph, is even more awesome! Robin is a great author! Great List! 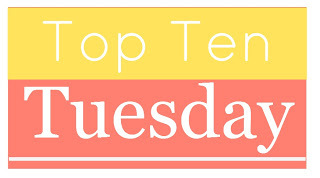 Thanks for adding to my TBR :-) I loved Sea of Tranquility and Ten Tiny Breaths and REAL! I am always happy to add to your TBR! You know that! I can't wait to read Real and Redesigned! Love your list Jessica! 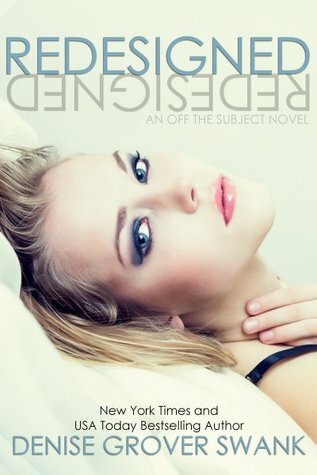 Btw I hope you read Obsession soon! Can't wait to see if you turn Team Arum! Thanks Ally! I hope you love Real and Redesigned! They are SO good! And eep! I really want a review book break so I can read it already! YES! Read Ten Tiny Breaths very soon! And then we can talk about it! And Defiance is really great. I really loved it. Ah! Kelly! We gotta get you on the Golden train! LOL. I love it when I see someone else that liked Defiance! YAY! Of course Golden made my list as well! I still need to read Incarnate though! I keep seeing everyone talking about this masquerade scene and I'm curious to know what its about! Great list! I've read Golden and Dare You To. My thoughts are the same in turns of Golden. It definitely made an impact on me and has made me see things differently. Great selection! :D I'm so glad you enjoyed Golden as much as I did! :D I can't wait for you to read them all!!! Oooh, goal books. That's a really good idea. I should make a list of my own! Ok, I reeeeally need to read Defiance, Ten Tiny Breaths, and Golden. Gah, what is wrong with me?! lol Great picks this week, Jessica! Great list!! I've been dying to read a lot of these. Incarnate also made it on my list. It was so great and outstanding, and brilliant. I loved it!! Thanks Kimberly! Wasn't Incarnate amazing?! SIGH.... Loved it! YES! I'll be stalking your blog to see how you liked them!! 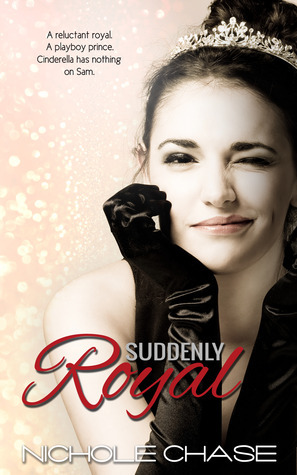 I'm glad you liked Suddenly Royal- it was definitely so cute! Note to self: must read Suddenly Royal! Nice list; I haven't read a single one yet. Yay for GOLDEN! Love that book. I've heard of Ten Tiny Breaths and have been curious about it. May need to give it a try. :D Yay! Another Golden fan! I love it! The majority of reviews I've seen have loved Ten Tiny Breaths, but I do know a few people who didn't care for it. I guess it's just a matter of preference really! I really wanna read Golden! The shiny pretty cover caught my eye first and ever since I got so entranced by the cover, I've wanted it in physical form. Soooo. I'm waiting before I buy it. Yeah, I know, it's a stupid reason. But so many people love it so I figure I will love it and then it's worth it. Plus. So pretty.